We sold most of daily needs products. Include as tobacco and cigarettes. 90% of our transaction are face to face. We hold authorization to sold cigarettes/tobacco products in our area. And we are authorized retailer for Djarum, Gudang Garam, Sampoerna, and British American Tobacco. CigaretKretek.com started in 2015. Former Kretek.cf. We actually doing cigarettes shipment far before we run our official website. We offer our cigarettes for our friends and family outside Indonesia. And one of my good friends suggest me to do professional business, since I was a Web Programmer for 13 years. We start selling online from forum to forum. Because of huge kretek demand, we decide to open our first online cigarettes store. Our debut begin in Bitcointalk.org, then we expand our service to Reddit. We also do social campaign in our Facebook pages, Google+, and Twitter to gain our customers trust. 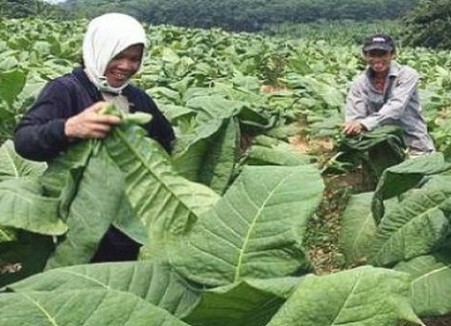 Online price are included VAT, and Tobacco Duties for Indonesian Government. We only sell original, excise tax applied for every each of our products. We DO NOT sell any “Duty Free” cigarettes. And, or counterfeits products. We assure our genuine products. Tobacco and all products from tobacco are restricted & regulated products in some countries and area. To comply with KYC (Know Your Customers) We must double check everything include age verification (ID card/Passport verification may needed) to make sure we not selling to minors. And, we eligible to refuse processing customer orders that can’t fulfill our requirements. CigaretKretek had signed contract to PT. Pos Indonesia as their official Merchandiser for Indonesian Products catagory. And leader in Small Home Internet Business leader in our town, Magelang. Under the auspices and protection of the Ministry of trade and industry Indonesia, for retail sales, tobacco products, and small and Medium Businesses. CigaretKretek.com is a Tobacco products retailer in Magelang. Known as Toko Agra. 90% of our sales are face to face transaction. We sold groceries, snacks, and other product. 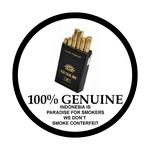 We hold authorized dealer for Djarum, Gudang Garam, Sampoerna, and Bentoel brand in our area.